Bodansky does not mention oil as a motive for war, but a few pages later he comes up with another “primary reason”: “the revival and rejuvenation of Iraq's WMD programs in recent years,” threatening the entire Middle East. One problem is that these drones have a range of only about 700 kilometers. But they could be launched from ships lying off the coast of the US. The Bush administration eagerly seized on these reports to help gain congressional support for the upcoming war. If Saddam had weapons of mass destruction, what happened to them? According to Bodansky, they were buried in the sand, so secretly that only Saddam and a small circle of his intimates knew of their existence. Openings to tunnels were so cleverly concealed that they have not yet been discovered! Weapons and production facilities which would not fit into holes in Iraq were buried in Syria, Iran and Lebanon. Bodansky argues that the Americans have been “searching for evidence in the wrong places and interrogating the wrong people.” The few individuals who know where to find Saddam' s weapons are afraid to cooperate for fear of being called traitors and assassinated by Iraqi insurgents. And yet, Bodansky is not to be dismissed lightly. He is more credible when he quits retailing “secrets” and gets down to a detailed chronicle of the war, and he appears to have an encyclopedic knowledge of events and individuals involved. Bodansky is scathing in his denunciation of US foreign policy. He writes: “There is one dominant reason for the American debacle in Iraq — the desperately poor state of the nation's intelligence services.” Before the war, he says, US intelligence organizations knew nothing of Iraq and its people, and since the occupation, US intelligence has repeatedly failed to understand the nature and intensity of the anti-American struggle. 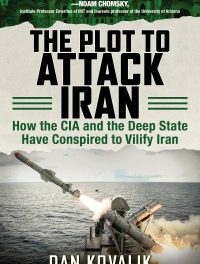 Former CIA officials told Bodansky that the CIA-directed “antiterrorism' in Iraq is the reincarnation of the notorious Vietnam-era Phoenix Program, in which CIA operatives rounded up, tortured, and murdered thousands of suspected insurgents on the basis of little or no evidence. Bodansky's strong point is his use of personal interviews and extensive quotations from Arab publications to portray the war as seen by Arabs. Virtually all of these sources are radically anti-American and call for armed resistance to drive the invaders out of Iraq and other Arab countries. Before the war, US intelligence sources predicted that members of the educated and westernized Iraqi middle class would welcome them as liberators. But these Iraqis have been the victims of over a decade of sanctions, followed by the de-Baathization campaign and the lawlessness and chaos caused by the American mismanagement of the occupation. 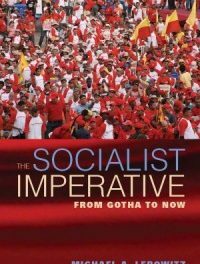 The author cites a recent CIA report which estimates the number of actively involved Iraqi insurgents at 50,000 and growing. He sees the present insurgency as the beginning of a long and bloody guerrilla war between Muslims and the West. Bodansky's only suggestion for dealing with this potential violence is that the White House and the intelligence community should wake up and pay attention to “outside expertise.” In view of past performance, however, this seems unlikely. This book is a puzzle. Bodansky's descriptions of US intelligence failures and the war as seen through Arab eyes ring true. But many of his alleged “secrets” sound suspiciously like conspiracy theory. The Secret History of the Iraq War makes interesting reading, but lacking conventional bibliographic references, many readers are likely to dismiss it as an imaginative mixture of fact, rumor, and fiction. .